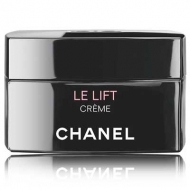 LE LIFT - Fermetè Anti-Rides Créme Yeux is a Chanel firming and anti-wrinkle cream for the delicate eye contour. Because of each woman ages at her own pace and have different needs, Chanel created this technology adapted to the unique needs of each woman, each story and each lifestyle. Scientific research has revealed the importance of ?youth proteins?, key proteins that can significantly slow down signs of aging, influencing the tone, suppleness and resilience of the skin. 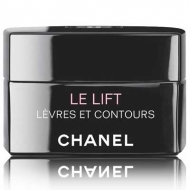 Chanel laboratories isolated a plant extract from the Edulis Morning Glory to boost the production of these key youth proteins, promoting a lifting and firming action. 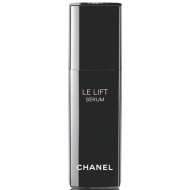 Developed with the Eye Opening Complex to provide anti-aging benefits around the eye contour. 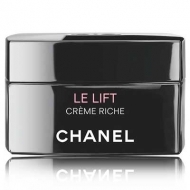 Dark circles and puffiness are reduced. The eyelids look more lifted and clean. Apply gently to eyes contour. 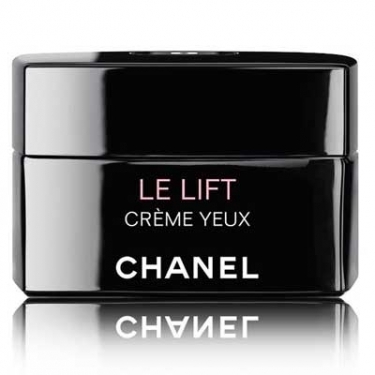 For best results follow with LE LIFT skincare.